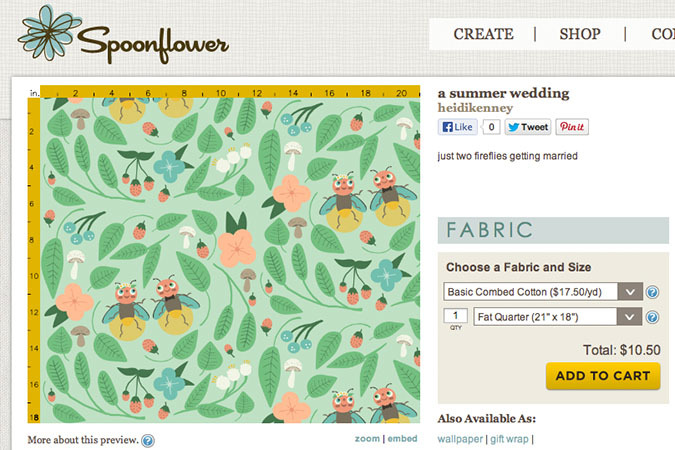 I entered my firefly fabric into Spoonflower’s contest of the week. You can vote for your favorite fabrics here. 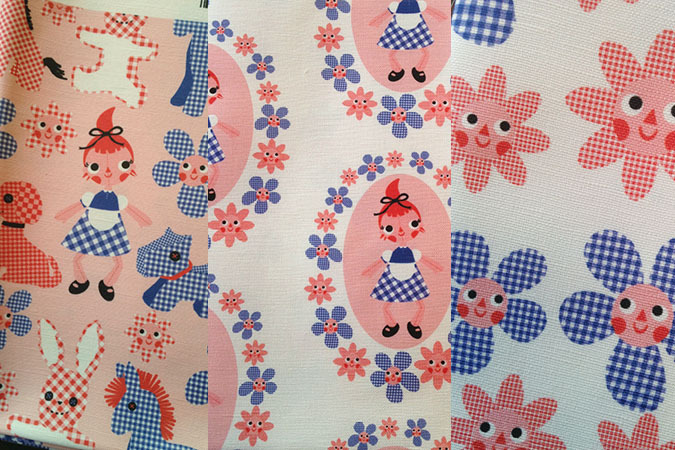 I also have a new collection of fabric inspired by vintage dolls & toys. I just ordered myself some knit fabric to make a doll sized sheet & bedding for a little doll crib I have with it. I know in the photo collage above the colors look off, these were taken with my phone-so I’ll try and get some better photos. Tagged fabric, fabric design, my work, spoonflower. Bookmark the permalink. I did my votes earlier this morning. Yours was one of them. I am so glad I found your design.